ALBERT EINSTEIN Quotes - (1879-1955). ALBERT SCHWEITZER Quotes - (1875-1965). ARISTOTLE ONASSIS Quotes - (1906-1975). AYN RAND Quotes - (1905-1982). Bill Gates Quotes - (1955-). C. NORTHCOTE PARKINSON Quotes - (1909-1993). ERNEST HEMINGWAY Quotes - (1899-1961). F. SCOTT FITZGERALD Quotes - (1896-1940). FRANK SINATRA Quotes - (1915-1998). Frederick the Great Quotes - (1712-1786). GENERAL GEORGE S. PATTON Quotes - (1885-1945). GEORGE HERBERT Quotes - (1593-1633). GEORGE ORWELL Quotes - (1903-1950). GIACOMO CASANOVA Quotes - (1725-1798). HUGH HEFNER Quotes - (1926-). 'I Am Like a Caricature of Myself.' Here Are Some of Karl Lagerfeld's Most Memorable Quotes - TIME Magazine. ISAK DINESEN | KAREN BLIXEN Quotes - (1885-1962). J. PAUL GETTY Quotes - (1892-1975). JEAN-JACQUES ROUSSEAU Quotes - (1712-1778). JOHN D. ROCKEFELLER Quotes - (1839-1937). 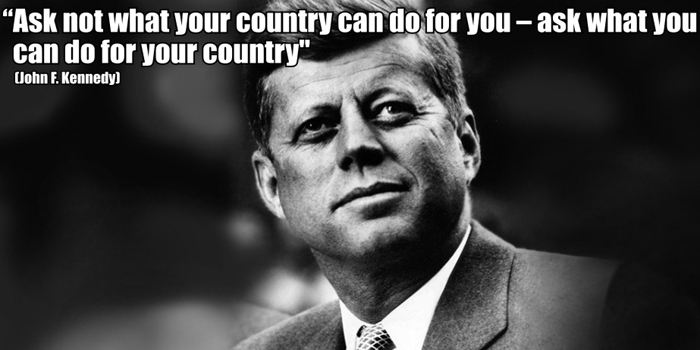 JOHN F. KENNEDY Quotes - (1917-1963). JOHN MILTON Quotes - (1608-1674). Julius Caesar Quotes - (100 BC-44 BC). LUDWIG WITTGENSTEIN Quotes - (1889-1951). MAE WEST Quotes - (1893-1980). Mahatma Gandhi Quotes - (1869-1948). MARTIN LUTHER KING, JR. Quotes - (1929-1968). MICHEL DE MONTAIGNE Quotes - (1533-1592). MUHAMMAD ALI Quotes - (1942-). Norman Schwarzkopf, Jr. Quotes - (1934). OSCAR WILDE Quotes - (1854-1900). PARIS HILTON Quotes - (1981-). PIET HEIN Quotes - (1905-1996). Pink Panther quotes - The Telegraph. PLATO Quotes - (c. 428–427 BC). RENÉ DESCARTES Quotes - (1596-1650). Ronald Reagan Quotes - (1911-2004). SAMUEL JOHNSON Quotes - (1709-1784). SOCRATES Quotes - (c. 469–399 BC). STEVE JOBS Quotes - (1955-2011). SUN TZU Quotes - (c. 544-496 BC). WARREN BUFFETT Quotes - (1930-). W. C. FIELDS Quotes - (1880-1946). WILLIAM SHAKESPEARE Quotes - (1564-1616). WINSTON S. CHURCHILL Quotes - (1874-1965).